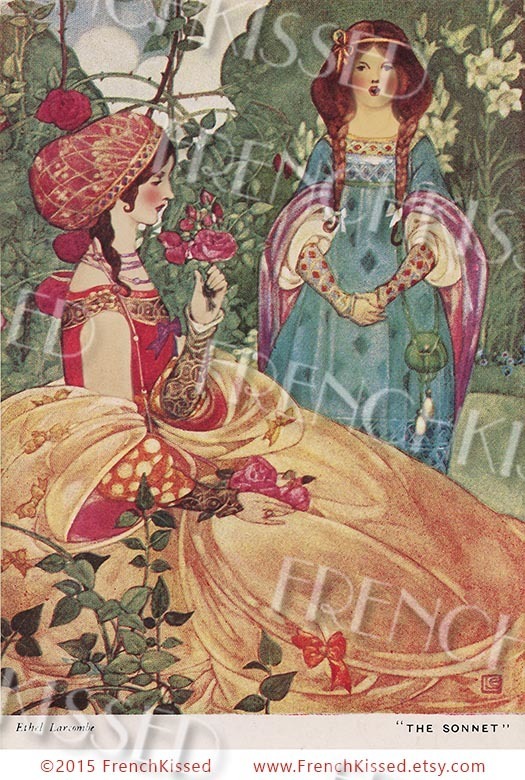 This charming book illustration by British artist Ethel Larcombe (1879-1965) has been created from an antique postcard. 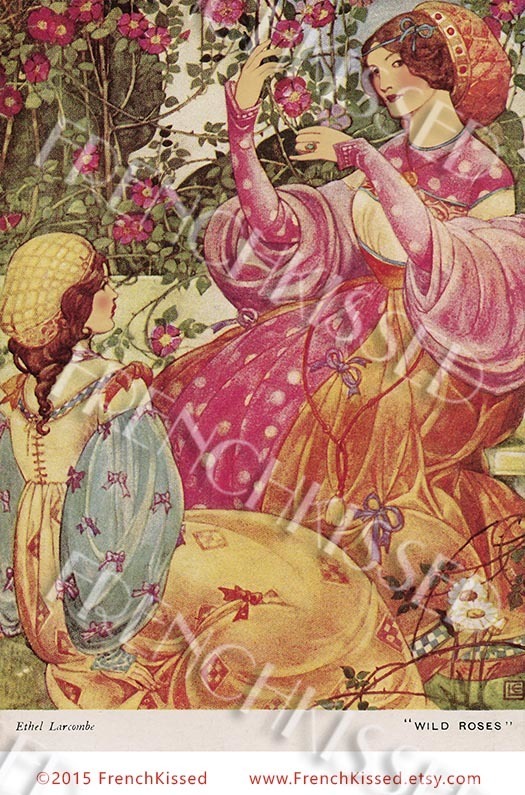 Larcombe was a very prolific artist but her work is hard to come by. I'll be selling this rare postcard in my other shop. When it's gone, this digital will no longer be available, per my policy: I only sell scans of items I own. 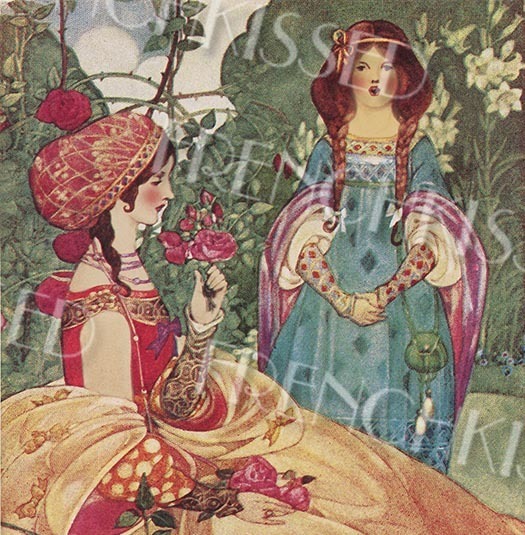 Entitled "The Sonnet," this is a medieval scene of a handmaiden singing for her lady while she delights in roses from the garden. A perfect blend of cool and warm colors, this romantic image draws you in to another world. If you're interested in a 1200 dpi scan to print wall art/poster size: send me a convo and I'll get it listed for you ($12.99).